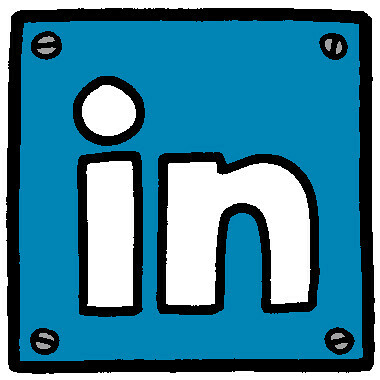 LinkedIn is a social networking platform for professionals to network online. Naturally business owners and professionals are taking advantage of the business aspect and generating leads and sales on LinkedIn, and for FREE. I am sure you are interested in making sales and generating leads yourself, let’s get started. On LinkedIn, creating a company page, which would be equivalent to creating a Facebook business page isn’t necessary and not nearly effective as creating a Facebook business page. On LinkedIn, the company page can get a following similar to Facebook, but updates and post are a little different. Conversions on LinkedIn companies and groups are possible and can be just as easy if done correct. Right now, we are going to just focus on generating leads quickly on LinkedIn. Creating a LinkedIn personal profile is all that is needed on LinkedIn in order to start generating leads. LinkedIn is hard, only at first. Unlike other social platforms you can only make connections with people you know and then you can connect with people they know. You need to have an email address of the person you want to connect with, that’s how LinkedIn knows you guys know each other. So, get a list of professionals you know whom you have the email address of and start connecting with those guys immediately. When you start making connections from your list of professional emails you will now have what LinkedIn consider’s 1 degree connections. That is someone you are connected with, a 2nd degree connection is someone you and a few of your connections have in common, 3rd degree connections are people you share 1 connection with. While you are waiting for people that you’ve requested to accept your connection, let’s start scouting for customers and clients. Go to your search bar and filter out possible connection by the criteria that would qualify them as a potential lead or customer, then be sure to click 2nd degree connection so that it shows only people who have a 2nd degree connection. Now you get a result of people who are potential leads and customers that you can now connect with! After you start requesting people and they start accepting your request OurTechFriend.com encourages you to send an immediate message introducing yourself. OurTechFriend calls this the beginning of the nurturing process. From this point, it’s time to build and relationship and then close! Getting leads on LinkedIn is easy now!